Good Friday morning everyone! Today I have a fun surprise….we have a guest on the blog. 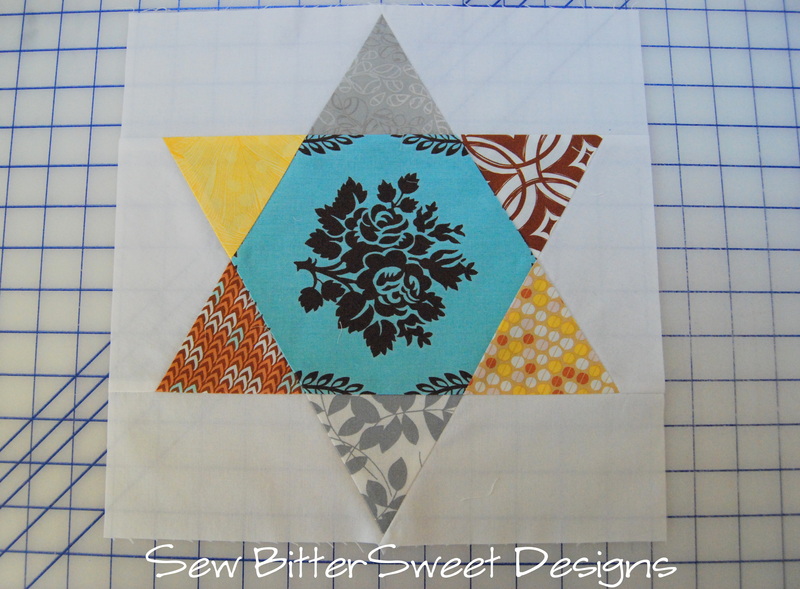 Melissa, from Sew BitterSweet Designs, is sharing a review of the Hex N More Ruler. Melissa is such an awesome person! I’m so glad our blogging worlds collided and we met. I hope you enjoy!For those of you dropping by for Frugal Friday I decided to do things a little different today. I’m going to direct you to our website where I have marked down all remaining Flea Market Fancy fabrics to $6.50 a yard!!! Get it before it’s all gone! Thank you so much Vicki and Judy for having me here today! I am so excited to share my review of the Hex N More Ruler! Judy and Vicki were kind enough to send me one to play with and I have fallen in love. The Hex N More Ruler by Jaybird Quilts, available at Quilting Lodge is a fantastic tool! It gives you the opportunity to cut 4 different shapes in 4 different sizes with one tool. What I love most about it is that it makes it so easy to go hexagon shapes. The included instructions demonstrate how to cut all four shapes in all four sizes. They are well written and easy to understand. The instructions also show you different ways you could combine the shapes. The ruler is very versatile and includes the Jewel shape, which I have never seen before. Each shape can be cut from strips, this saves time because you can stack your fabrics and cut them faster, it also saves you fabric, meaning less waste. Julie from Jaybird Quilts has 8 patterns available for this ruler which would allow you to start creating immediately. The only area that I struggled with was shape construction – I understood how to cut everything out but there were no instructions on how to sew the different shapes together. There was a bit of experimentation on my side to construct my first block (see below) before I got the construction method correct – check out my tutorial on Monday and I will show you how I ended up doing it. Final Thoughts: The Hex N More Ruler is worth the investment. It is highly versatile, giving you 4 different shapes and sizes. As with any new ruler the most important thing is to experiment. 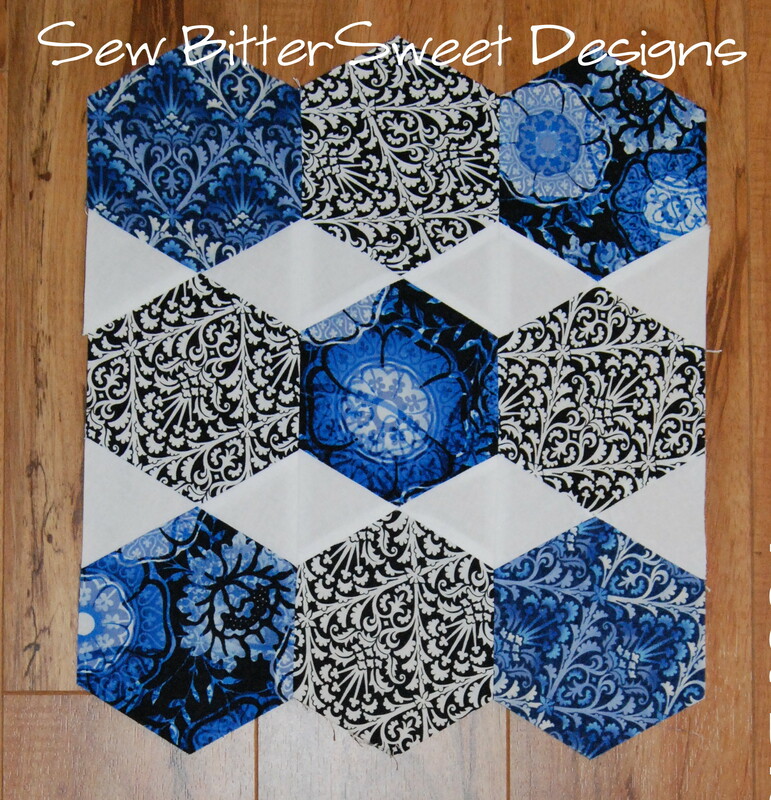 It is a fun tool and I see myself using it in my future quilting projects. Thank you again Judy and Vicki for having me here today! I am so grateful to Melissa for sharing her review of the ruler. I haven’t gotten a chance to play with one yet but I think I need to! That ruler is on my Christmas wish list. Sheesh, I got this ruler almost three months ago but haven’t started using it, thank you for the prompting, I’m really excited about what it does so I can’t believe it’s still virginal! I will look at the tutorial to see how you put it all together! Makes beautiful blocks so I am very interested!